There is something special about books sent in the past. 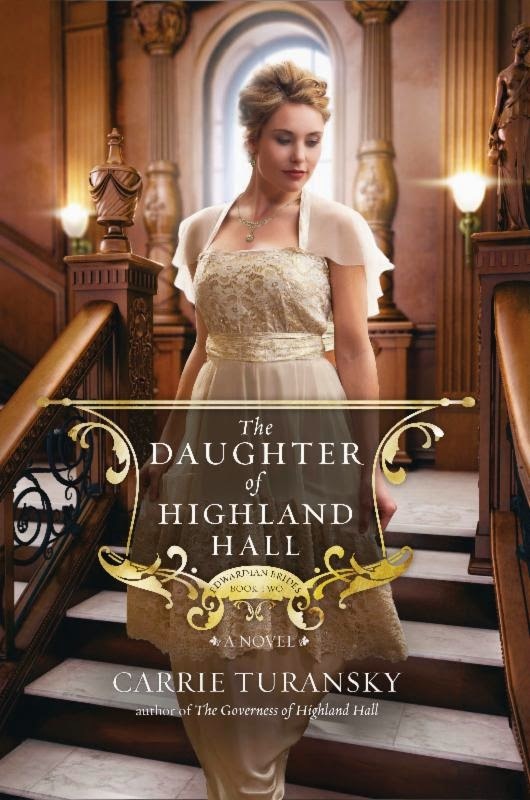 Recently I had the opportunity to read and review The Daughter at Highland Hall by Carrie Turansky. This book is set in London, England in 1912. We follow the life of the young Kate making her debut. She is spunky yet respectful - everything we all hope to be! Be sure to check out the giveaways Carrie Turansky is doing at her blog here. Turansky has mastered the Christian romance genre! She manages to keep faith flowing seamlessly through the pages. I love how the female characters are respectful of their place and situation. Which is often overlooked in books. In this book, Kate is finding her faith and where God has her future. I love how the family dynamics were and I think it shows evident in Kate's personality the love they all feel for each other. The love interest Jon has a lot of tough choices to make as well - just like any young person embarking on career and adulthood. I love how each of them, Jon and Kate, learn to trust God and follow his will for their lives. This book was a delightful read. You can purchase your copy of The Daughter of Highland Hall at your local bookstore or at online locations like Amazon.